The female energy is very important at this time because of the imbalance of the masculine and feminine. This one, this channel, has spoken to you in the last days about this imbalance of the male and female energies. So now the instructions I give you are simple. Work with my energies of love. Allow this energy of love to flow through your hearts and take your freedom with compassion. My message does not encourage aggression. There have been mistakes made by the women of this age. This mistake has been the thought that they would achieve freedom through aggression. If you show aggressiveness to males this then triggers warrior-like responses. These warrior-like responses result only in further aggression towards you. Know that although these men have been your manipulators, that they too must now go through a great period of adjustment in their consciousness. The task now of all males in spiritual life, in their advancement, is that they must realise that they too have a female side. This word “balance” that is very popular at this time really means a balance of energies, a balance of male and female. All ones must realise that both men and women are going through a great period of readjustment. So take your freedom with compassion, with unconditional love, and through this compassion and unconditional love the men will realise that unconditional love and compassion are the only energies to work with. You could say that it is the only space to be in. So we come to what is love? Again there have been many misconceptions built up around this word love. Many ones think that dependence and fear, or emotions based on dependence and fear, are love. But these energies of dependence on fear, this fear driven emotion, is not love. Love is all encompassing. Where there is unconditional love there is no fear. Where there is unconditional love there is no dependence. This does not mean of course that you have to leave your relationships with your families. What it means is that you need to remove fear. These energies of jealousy, of possession, again I say this is not love. It is not based on compassion. It is based on selfishness. Of course selfishness is another reaction to fear. So now is the time to open up your hearts to this energy of unconditional love, this energy of compassion, and realise that the trials and tribulations which you all face within your lives during these periods of adjustment mean that you will grow strong. Support each other. You could say that you are like trees. These birch trees, that when the north wind blows grow stronger. Birch trees always like to grow near to other trees. They are very happy when they are growing in groups. If they grow alone then you will always see them leaning towards other trees so that they touch. This is what you can do to support each other. You don’t have to become dependent upon each other, but you can give each other support. 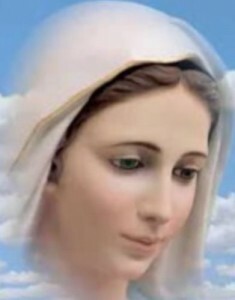 And know that as the cold wind blows, as these trials blow through you and flow through your life streams, that all the time you can call upon myself, Mary, anytime that you need support. Anytime that you are feeling that you need compassion and love just affirm that you would like me to come to you. I will take you in my arms and give you support. I will heal the wounds in your hearts. I will remove the scars from your minds so that you may become true loving beings, living representations of this balance of yin and yang. I would ask you now to all, both men and women present here. to just take a few moments to sit, a few moments to open your hearts and receive my energies of compassion. Receive them into the very core of your being. Feel this energy of love, feel this energy of balance. Allow yourselves if there is a need to shed some tears. This shedding of tears is important. There has been this idea that grown-up people do not cry. This of course is conditioning which needs to be broken down. Because know that when you cry, that when you sob, the tears which you shed are purifying. The pent-up emotions, the blocks to love, are disposed of in your tears. So crying is very healthy. Crying is as important as laughing. So let us now take these few moments to receive my love, to feel my love and to have these experiences balanced in your lives. This message of freedom and hope that I bring you, this message of compassion and love, it does not mean that you have to be weak. Unconditional love and compassion is not weakness. It is strength. There will be times during these periods of transition when you will have to show strength. If necessary use this strength, your inner strength. There will be times when actions need to be performed and words need to be said. Do not think that unconditional love and compassion is weakness. Sometimes you may have to take strong action and speak strong words. But again do this with compassion and love. Compassion and love is the energy which will bring the true New Age to your world. 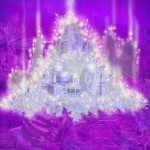 This age where a love will manifest upon your planet which has never been known here before. This planet and the people of this planet will bring a new hope, a new dawn, a new beginning to the rest of this quadrant of creation. Know that you human beings are a beautiful, shining, loving, whole aspect of the Creator. Now is the time to take your power and to go forward as the standard bearers, the bearers of the banners of love and compassion. Again I say, this love and compassion is the energy of victory. And when I speak of victory many ones would think that we are talking about a battle. But know that where there is love and compassion there is no battle. With unconditional love we can transmute everything into love and light. You can all become love and light. I leave you to think about my words. I leave you to integrate the energies of my love. I leave you for you all to become yourselves – love and only love. Bless you, bless you all. I am Mary.